617 sq ft 1 bed/1 bath for $1025/month. Available now. Although Uptown is one of the most expensive neighborhoods in Dallas, there are plenty of affordable options in the neighborhoods bordering Uptown. Those of you who are looking for something under $1000 should check out Knox/Henderson, Design District, Downtown and Deep Ellum. You’re more likely to find something under $1000 in these areas, and you’re still just a short drive or cab-ride (literally under 5 minutes) from Uptown. These areas are each popular in their own way, and still allow easy access to Uptown. Downtown Dallas has a lot going for it nowadays too. Especially in the last few years, things have really changed. A lot of the big companies have their offices located in this area so there’s a tendency to get a lot of professionals living here to be close to work. Due to this new crowd, there are some really cool bars/restaurants. Anyone searching for downtown Dallas apartments will have a wide selection of styles and themes to choose from: 1930s art deco, modern, faux Greco-Roman and new high-rise buildings. 1BR/1BA Loft, 619 sq ft, $929/month, available now. 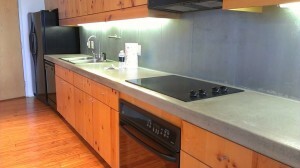 At Dallas TX lofts we understand that one can become overwhelmed with all the choices out there. Finding the perfect uptown loft or apartment can be a difficult task, but we’re here to help you, every step of the way. 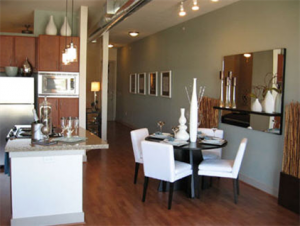 Whether your looking for an Uptown Dallas apartments under 1000 or high end loft space in a certain area, Let Dallas Tx Lofts assist you in finding the perfect home.